Rudy Diaz is our Vice President of Information Technology. He is accountable for the company's enterprise IT architecture, IT strategy, IT services, new business process development, and new market system integration. ​Rudy has served in this role since 2011. Rudy began his IT career in 1992 and has more than 20 years of combined experience in IT and Security. In addition, he holds several certifications from the governing bodies of ISACA, PMI and GIAC, including CISA, CRISC, CGEIT, CISM, PMP, GLEG and GCPM. Prior to joining BendPak, Inc., Rudy held senior IT leadership positions with the top two wholesale tire distributors in the United States. Most recently, he spent two years as the Director of Project Management Office-Information Technology for American Tire Distributors (ATD) in Huntersville, North Carolina, with 80 distribution centers servicing 30 of the 50 United States and generating $1 billion in annual sales. Rudy also enjoyed 18+ years with Am-Pac Tire Distributors/Tire Pros, a nationwide wholesale distributor based in Simi Valley, CA, with $400+ million in yearly sales and a footprint in 15 states through 30+ distributions centers and 20 retail locations. Prior to his last role as Director of Information Technology for the company, he held management positions of increasing responsibility across various departments, including accounts payable, operations, sales administration, logistics, customer service and information technology. 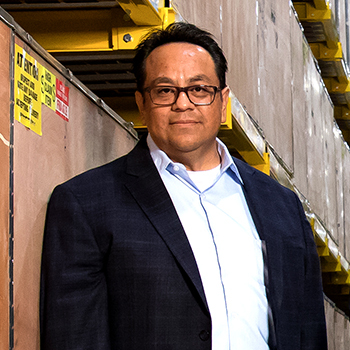 Rudy also serves on the Board of Directors for ISSA’s Ventura County Chapter as the Logistical Director and has held this position since October, 2013. In his spare time, Rudy enjoys studying the reasons behind the declining habitats of various crocodile species across Northern Africa and Central America. He currently holds a green belt in karate and has always wanted to climb Mt. Kilimanjaro.